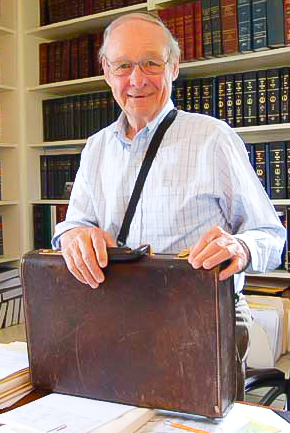 James P. “Penny” Baber, who opened his general practice in Cumberland County in 1961, has been named the 2017 recipient of the Tradition of Excellence Award by the Virginia State Bar’s General Practice Section. The award recognizes a lawyer who embodies the highest tradition of personal and professional excellence and who has benefitted the community and enhanced the esteem of general practice attorneys in Virginia. It will be presented on June 17 during the VSB Annual Meeting at Virginia Beach. Baber has served as the commonwealth’s attorney and the Cumberland County attorney, and is currently the commissioner of accounts. He is also active in his community, where he has been a member of the Ruritan Club, served as a Boy Scout troop leader and on the board of directors of the Deep Run Hunt Club, and serves as a trustee of the St. James Episcopal Church in Cartersville. Baber graduated from the University of Richmond in 1958. He received his law degree from the University of Virginia in 1961.